Synopsis : Study reveals evaluation and treatment of symptoms of depression may improve or maintain cognitive functioning in some seniors diagnosed with MCI. Individuals with worse depression and mood symptoms are more likely to develop Mild Cognitive Impairment (MCI) and to progress from MCI to dementia. Evaluation and treatment of symptoms of depression may improve or maintain cognitive functioning in some older patients diagnosed with MCI. MCI is a state in between normal cognition and Alzheimer's disease (AD) dementia, in which the individual has a subjective complaint of memory and other cognitive difficulties and performance on formal neuropsychological testing is abnormal for age, but these problems do not interfere with routine independent functioning. The majority of people with MCI have progressive memory and cognitive impairment, and eventually are unable to function independently with daily tasks, resulting in a diagnosis of dementia. However, some individuals with MCI do not get progressively worse and some people improve, reverting back from MCI to normal cognition. This study demonstrated that measuring neuropsychiatric symptoms such as depression, anxiety, agitation and irritability, helps to predict who will progress from normal cognition to MCI, and then who will either progress from MCI to AD dementia or revert back to normal cognition. In this study, published online in the Journal of Alzheimer's Disease, researchers from Boston University School of Medicine (BUSM) analyzed data from 6,763 individuals participating in longitudinal research studies at 34 Alzheimer's Disease Centers across the U.S that are currently or were previously funded by the National Institute on Aging. The data from all centers are entered into a database at the National Alzheimer's Coordinating Center. 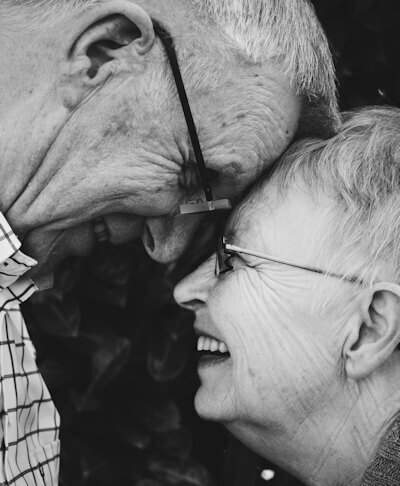 The participants, whose average age was 72, received annual neurologic examinations and evaluations of their memory and cognitive functioning as well as their neuropsychiatric symptoms. Study partners (e.g., significant others) also rated participants' neuropsychiatric symptoms and level of functioning. Participants were diagnosed at each evaluation as either cognitively normal, MCI, or AD Dementia by teams of doctors. All participants in this study were cognitively normal at the time of their first examination and were then followed from two to 12 years, with an average of five years. Results of the study showed that individuals with normal cognition were more likely to progress to MCI if they had more depression, anxiety and other mood symptoms. Similarly, people who had progressed to MCI were more likely to progress even further to AD dementia if they had more of these neuropsychiatric symptoms. An important finding was that approximately one third of the participants who had progressed to MCI reverted back to normal cognition, and that the participants who reverted back had significantly lower neuropsychiatric symptoms and a greater reduction in depression symptoms. In particular, the researchers noted that improvements in depression and mood symptoms led to a greater likelihood of cognitive improvement. "The implication is that successfully identifying and providing effective treatment for these neuropsychiatric symptoms, including depression, may potentially improve or maintain cognitive functioning in many older adults," explained corresponding author Robert Stern, PhD, professor of neurology, neurosurgery and anatomy and neurobiology at BUSM, and Clinical Core Director of the BU Alzheimer's Disease Center. "There are many possible explanations for these findings and further research is needed to address this important issue," Stern cautioned. The NACC database is funded by NIA/NIH Grant U01 AG016976. NACC data are contributed by the NIA-funded ADCs: P30AG019610 (PI Eric Reiman, MD), P30 AG013846 (PI Neil Kowall, MD), P50 AG008702 (PI Scott Small, MD), P50 AG025688 (PI Allan Levey, MD, PhD), P30 AG010133 (PI Andrew Saykin, PsyD), P50 AG005146 (PI Marilyn Albert, PhD), P50 AG005134 (PI Bradley Hyman, MD, PhD), P50AG016574 (PI Ronald Petersen, MD, PhD), P50 AG005138 (PI Mary Sano, PhD), P30 AG008051 (PI Steven Ferris, PhD), P30 AG013854 (PI M. Marsel Mesulam, MD), P30 AG008017 (PI Jeffrey Kaye, MD), P30 AG010161 (PI David Ben- nett, MD), P30 AG010129 (PI Charles DeCarli, MD), P50 AG016573 (PI Frank LaFerla, PhD), P50 AG016570 (PI David Teplow, PhD), P50 AG005131 (PI Douglas Galasko, MD), P50AG023501 (PI Bruce Miller, MD), P30 AG035982 (PI Russell Swerdlow, MD), P30AG028383 (PI LindaVan Eldik, PhD), P30 AG010124 (PI John Trojanowski, MD, PhD), P50 AG005133 (PI Oscar Lopez, MD), P50 AG005142 (PI Helena Chui, MD), P30 AG012300 (PI Roger Rosenberg, MD), P50 AG005136 (PI Thomas Montine, MD, PhD), P50 AG033514 (PI Sanjay Asthana, MD, FRCP), and P50 AG005681 (PI John Morris, MD). *News Release by Boston University School of Medicine: Disabled World makes no warranties or representations in connection therewith. PR content may be edited for style, clarity, and/or length. If you are connected with this page and want it corrected/updated please contact us.